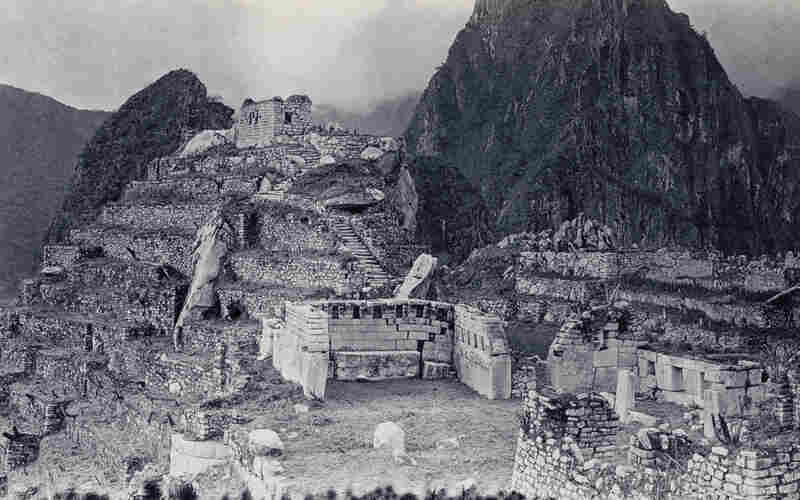 Photos: Machu Picchu 100 Years Ago : The Picture Show One hundred years ago, Hiram Bingham set out on an expedition to explore the reported ruins known as Machu Picchu. The Incan ruins of Machu Picchu are situated near Cuzco in Peru. 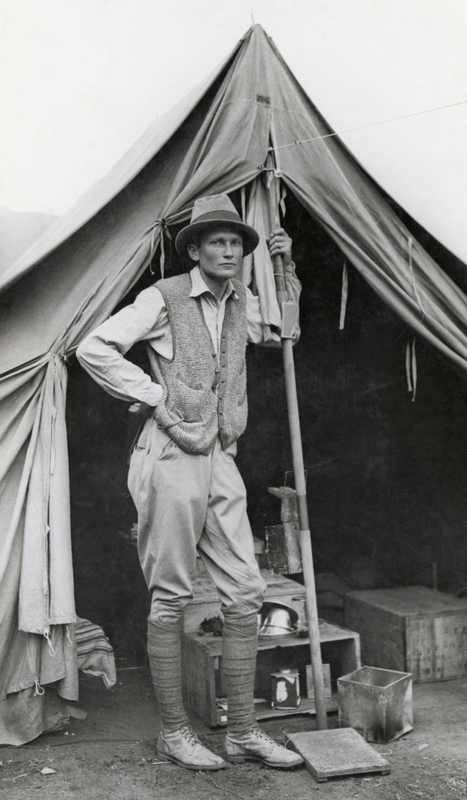 They escaped the attention of the Spaniards and were not "discovered" until 1911 by U.S. explorer Hiram Bingham. Photographed here is Intihuatana Hill and the terraces west of the Sacred Plaza..
Bingham himself photographed the expeditions. 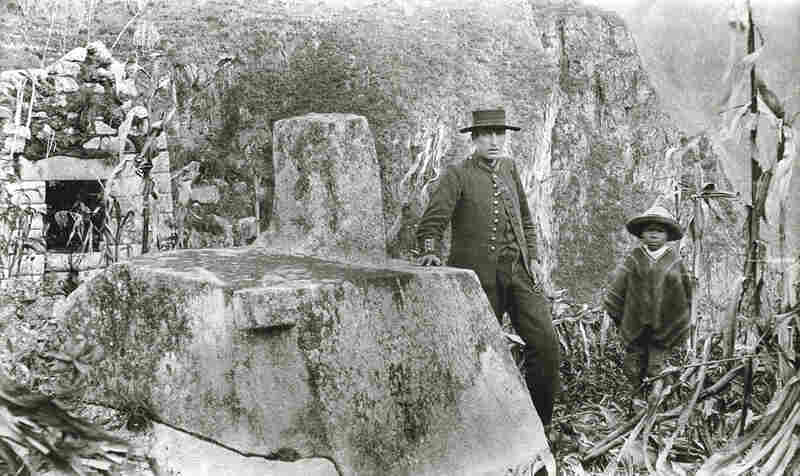 He and his fellow explorers stopped at various spots along the way to southern Peru, including Pacasmayo. Near the Main Plaza is the Intihuatana, a uniquely preserved ceremonial sundial. Intihuatana translates to "hitching post of the sun" in the language of the Inca, and is arranged to point directly at the sun during the winter solstice. Basins were used to store water at Machu Picchu, as natural springs were some distance away. 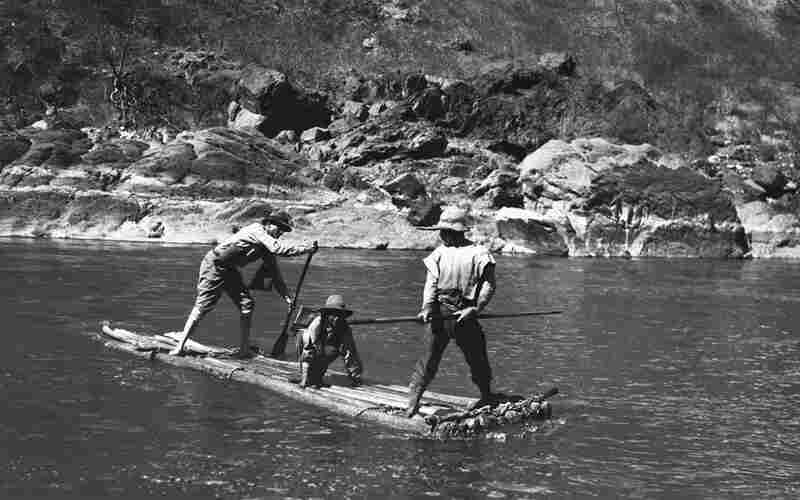 Bingham crosses the Apurimac River on a raft. Hiram Bingham stands outside his tent during the 1912 expedition. 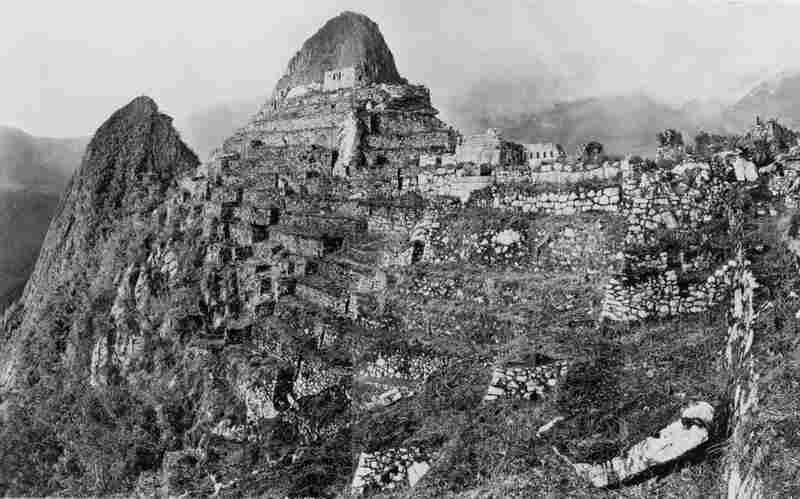 One hundred years ago yesterday, Hiram Bingham, an assistant professor of Latin American history at Yale University, set out on an expedition to explore the reported ruins known as Machu Picchu with the help of two local Peruvians. Though Bingham was not necessarily the first to "discover" the hidden city — he wasn't even a trained archaeologist — he was the first to make its existence public, according to National Geographic. He would return twice, supported by the National Geographic Society. And would eventually became a U.S. Senator! 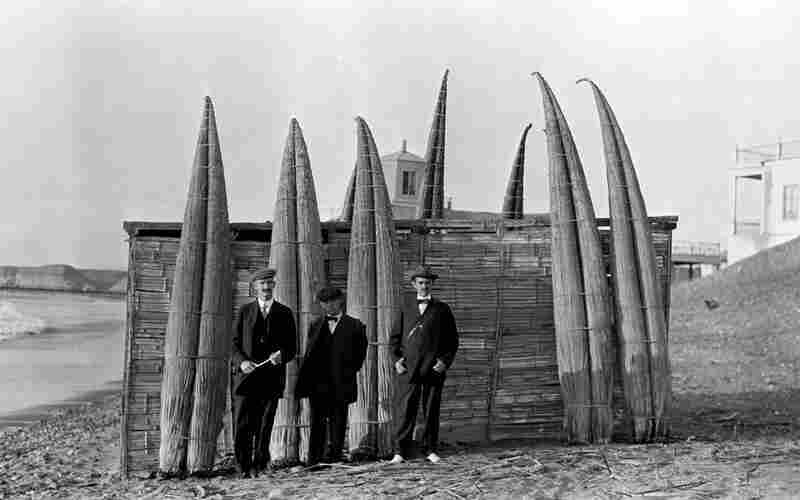 The Geographic headquarters in Washington, D.C., is currently showing 40 black-and-white photographs from Bingham's three expeditions, mostly taken by Bingham himself. 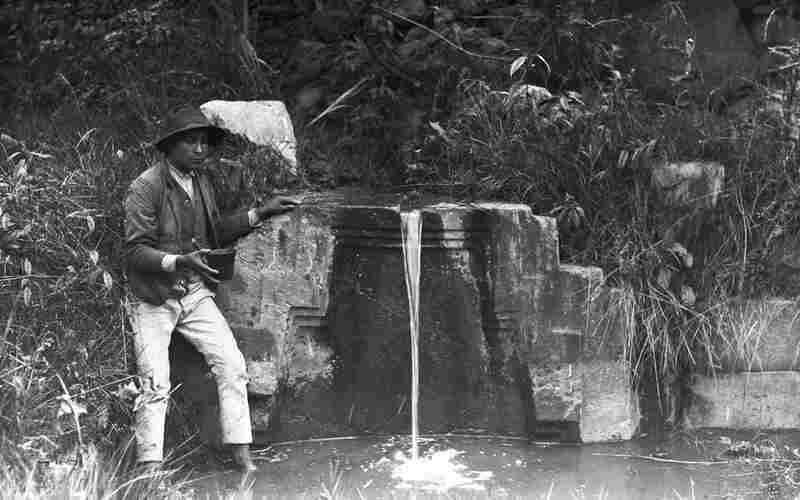 The show, called "Machu Picchu: A Lost City Uncovered, Photographs from the Hiram Bingham Expeditions 1911-15," was developed in collaboration with the Embassy of Peru in Washington, D.C. Here is a small selection of the images.